Edna R. Heston, 81, of Liberty, Texas went to be with Jesus on Monday, October 15, 2018. She was born on August 21, 1937 in Independence, Missouri to Earl Williams and Dorothy Guyer Williams. Edna was a loving and devoted wife. She had an art room in her home where she enjoyed spending hours creating arts and crafts. She loved to cook. Her favorite thing to do was take long car rides to the country side. She could ride for hours enjoying the scenery. Edna loved her children and her grandchildren. She had a strong relationship with God and loved Jesus. Edna will be truly missed by all who knew and loved her. Edna was preceded in death by her parents; son Clifford Parsons, granddaughter Mandy Allen and sister Dorothy Jean Sholar. 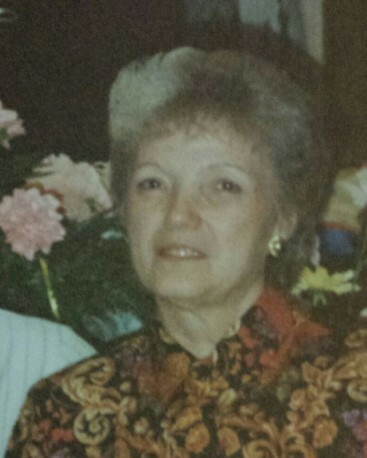 She leaves behind to cherish her memory, her loving husband of fifty-two years, Leroy Heston; daughter Yvonne “Vonnie” Olson; grandchildren Michael, Deanna, Dennise, Deja, Jake, Clarrence, and Joey; eight Great-Grandchildren; three Great-Great Grandchildren and numerous other loving relatives. Services have been entrusted with Allison Funeral Service. A graveside service and committal will be held on Friday, October 19, 2018 at 10am at Cooke Cemetery, 1906 Lakeland Drive, Liberty, Texas 77575.